When you want to impress people, one of the best ways to do so is to have bigger, massive arms. Building biceps is not an easy thing to do though. You’re going to need to do a mix of biceps exercises and a scientific-based nutrition program to develop those muscles. It can be easy just to do a daily dumbbell biceps curl. However, if you really want results in a hurry, you’ll want to be a lot more scientific about what you are doing. Here’s a look at some of the best bicep exercises out there and a few tips on what to eat so that you can end up with arms that will wow people. Before you start with your biceps workouts, you will need to know more about your biceps first. When we talk about the biceps, it is actually a muscle that has two parts: the short head and the long head. Good biceps workouts would work to develop both of these parts of the muscle. Your bicep crosses two joints and provides several important functions. The first function is at the shoulder. The first joint that your biceps cross is at the shoulder. This means every time you raise your arm; your biceps come into play. 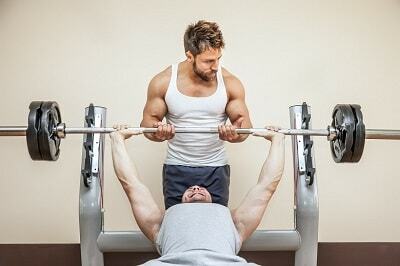 Though the deltoids or shoulder muscles are the main power behind it, your biceps provide some assistance. You can feel this effect when you place a hand on your biceps and raise your arms. The tension in your biceps changes as you move. The next function of your bicep is at the elbow. This time, the biceps are the primary muscle for this movement. There are three other arm muscles that help support this movement though. They are the brachialis, brachioradialis and pronator teres. Elbow movements, however, are still the favorite for making your biceps get larger, and a lot of exercise for biceps are focused on this function. Finally, there is the forearm function for the biceps. Your forearm has two bones, the radius, and ulna, and they form the radioulnar joint. Your biceps help them rotate in a way that your palm is turned upward. All of these functions can benefit from strengthening your biceps. This also means that all of these movements can potentially make your biceps stronger. Having a good mix of exercises across all three functions can hone your biceps into the big guns that you’re hoping for. The main way to build muscles is exercise. Put in the effort and your muscles will grow larger. However, doing one exercise over and over again is a recipe for disaster. It will quickly get boring, and you will lose your motivation. This is why you’ll want to vary them a bit. For example, when people think of building their biceps, the dumbbell bicep workout is the first thing that comes to mind. However, there are a dozen variations of the dumbbell workout that you can work with. That’s just the beginning. There are more exercises out there that can help your biceps become bigger. Let’s take a look at some of them to give you an idea of what you can do. The most basic biceps exercise out there is the dumbbell curl. The instructions are simple: pick up a dumbbell and curl it towards you. It’s pretty easy; however, a lot of people make the mistake of not paying proper attention to form. To fully get your biceps engaged, you’ll want to curl with your biceps alone. It is often easy to let gravity do part of the job when you reach the halfway mark. Fully curl the weight from top to bottom so that your biceps have the full experience. The next step in curling is the barbell curl. The key to this exercise is that instead of curling one arm after the other, you curl both arms using a wide barbell. This is considered the best curling exercise ever since it fully engages the biceps. To do the barbell curl properly, start with a standing position. Then you need to hold the barbell at a shoulder-wide grip and the elbows locked in position. It should be around hip level. You then start curling the barbell while keeping your back and elbow in a fixed position. Contract the biceps when they reach your face and then slowly lower the barbell back into its original position. The Preacher curl may seem like the dumbbell curl, but it brings a different challenge to the curling motion. This is because it focuses on the short head part of the biceps. To do the preacher curl, you will need to place your arm on a preacher’s bench and fully extend your arm. You then hold a dumbbell in an underarm grip and curl it until it full reaches your shoulder. This movement focuses the efforts on your bicep’s peak. If you really want full-looking biceps, this exercise is the way to go. Hammer curls are an interesting exercise in that they do not just work your biceps. They also develop your brachialis muscle. This muscle runs along your upper arm and is right beside your lower bicep area. Making your brachialis muscle stronger will give your biceps a bit more emphasis. To perform hammer curls, you start by standing in a neutral position, palms facing each other. Pick up the dumbbells and retain the same position. You then start curling the weights in this way, doing it like it was normal curl. Moving on from curls, you’re going to want to do some rows. The normal sitting rows work for a different muscle group, but a simple change of positions can let you develop your biceps in the same way. This is done by setting a bar around waist height. Position yourself below, hanging from it, with your arms in an underhand grip. Your body should be straight, and your arms extended. The exercise starts with you pulling yourself up and then lowering yourself down. Though your back muscles get a lot of work, your arms are given an equivalent work. With these exercises, your biceps workout at home will never be boring. Mix and match these exercises to get the workout that keeps you sweating. When you’re starting out your biceps workout, you are seriously going to need some equipment. Though it is possible to do bodyweight exercises, biceps training is a lot easier if you’ve got the right equipment for it. 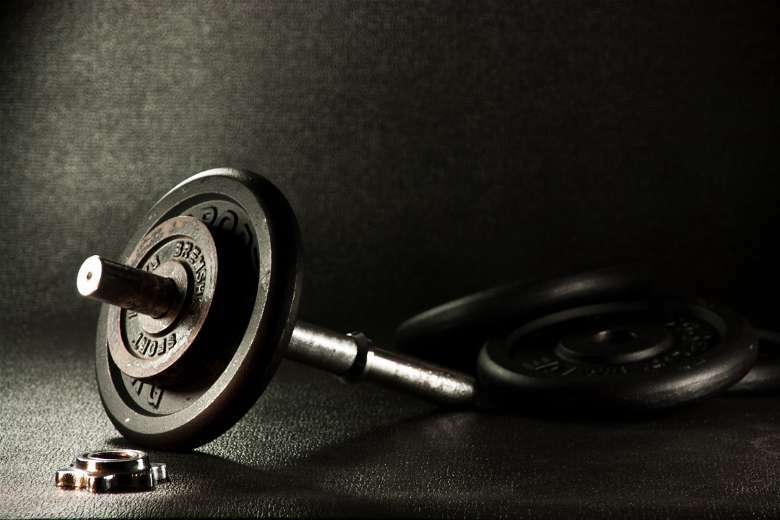 A biceps dumbbell workout would be pretty incomplete without the weights its named after. There are several weight types that you can use when you’re looking to boost your workout. The two most basic types are dumbbells and barbells. You’ll want to have at least these two to get your workout started. The main thing about selecting weights is being comfortable with them. Barbells start off usually as just metal bars. Extra weight plates can be added to up the challenge factor of the barbell. Dumbbells can also have the same treatment, though there are a lot of dumbbells that are set to a particular weight. Choosing those would make things a lot easier. Beyond the normal weights though, there are also kettlebells, medicine balls, and more options. Pick a weight that you can start off with. It is not unreasonable to start at around ten pounds and progress from there. Besides weight, you will also want to pick something that has a solid grip. You don’t want to end up dropping your weights to the floor. An interesting piece of equipment for your biceps exercises is the resistance band. Instead of weight creating resistance, it comes from the stretch of the bands. This creates a different form of resistance called linear variable resistance. Instead of a steady amount – the bands increase in resistance as the exercise progresses. The great thing about this is that it forces more of your biceps muscles to work. With a band, you know that you are really pushing your biceps to the limit. 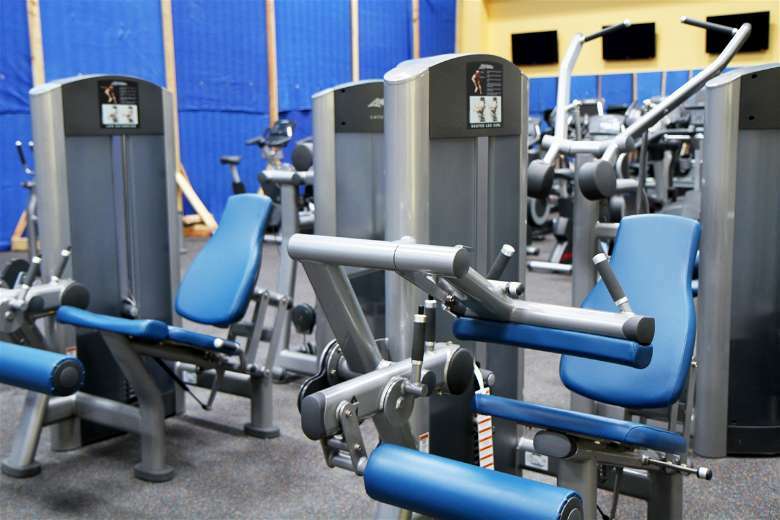 Besides weights and bands, there are exercise machines that can help with biceps development. Weight machines are the favorite for working biceps. It also helps that they can be used for building up other parts of your body. You will also want simple seats and stands to help with curls. However, you will need to take note that you may have limited space. Buy a machine that will fit in the space that you have. 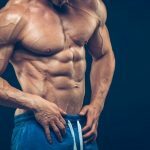 Now that you know how to do a workout and what you need for it, you will want to change things up a little in your biceps workout so that you get interesting results. One way to do that is to change your grip on the weights. The usual way is to key things shoulder-width. However, your muscles adapt to this position and make things easier. If you move it around, you will be able to activate different parts of your biceps. A wide grip puts the pressure on your short head, while a close grip will put the pressure on your long head. Elbow position and grip style can also affect how your workout will result. These changes will ensure that you will always be challenged and will have to continuous results. A big biceps workout is not going to result in large biceps alone. You will need to combine it with a diet. The correct diet builds your muscles and reduces fat – with that combination, you can have an impressive arm to look at. First, you’re going to need protein. Protein is what your body uses to build muscles and help them recover. Without enough protein, your body will be destroying itself to build muscles. The recommended amount of protein is around 30 grams per meal. If you’re bulking up, you want to get more. 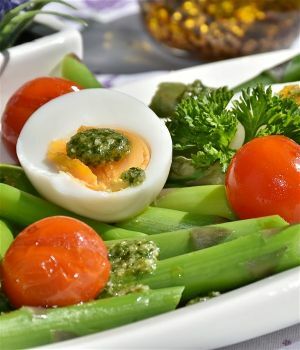 Eat meats, fish, dairy products, eggs and beans for your protein sources. Don’t overdo it though. The next thing you need is energy. Protein is one part of the equation, and the other piece is carbohydrates. Carbs, as they are better known in the fitness world, are the fuel of your body. To better fuel your body, you should get complex carbohydrates like rice and oats. Simple carbs like sugar are bad for you since they are too easily digested. The final part of the dietary combination is fat. Fat can help you build muscles because your body consumes it for energy before protein. The result is then you have protein left for building your muscles. Eat good fats like that in olive oil, peanut butter, and fish. All of these food components provide calories. Calories are what fuels your body and you need more of them – both to help with your workout and to help in building muscles. Add at least 500 calories a day to ensure that your body has the fuel to get the job done. Not enough calories and you won’t gain muscle quickly enough. A solid diet and the best biceps workout possible can combine into turning your biceps into solid muscle. It is not going to be easy though. At your fullest effort, you will only start seeing results in a month. Even then, it will just be a subtle increase in size. If you really want to have great biceps, keep up the regimen for over half-a-year. By the end of it, you will have an arm that is several inches larger. To increase your strength and improve workout performance you can also add some supplements like D-Bal. 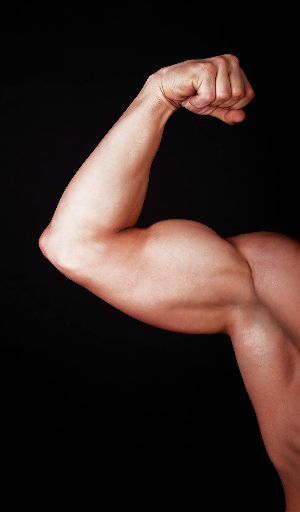 It is not just a visual effect – your biceps will be physically stronger, letting you carry bigger things. Start now so that you can get the results sooner. Inverted Rows are my fav they are the best for building bigger biceps.